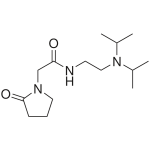 Aniracetam is a nootropic compound that falls into the racetam class. It was originally developed in the early 1970s by a team of research scientists at Hoffmann-La Roche. Aniracetam is believed to work as both a cholinergic and ampakine nootropic but not all is fully understood. 217 queries in 1.921 seconds.